â€œIâ€™ve had a cleanse and moisturise routine since I was 14 years old!â€� Sarah Rueger confesses to me over email. 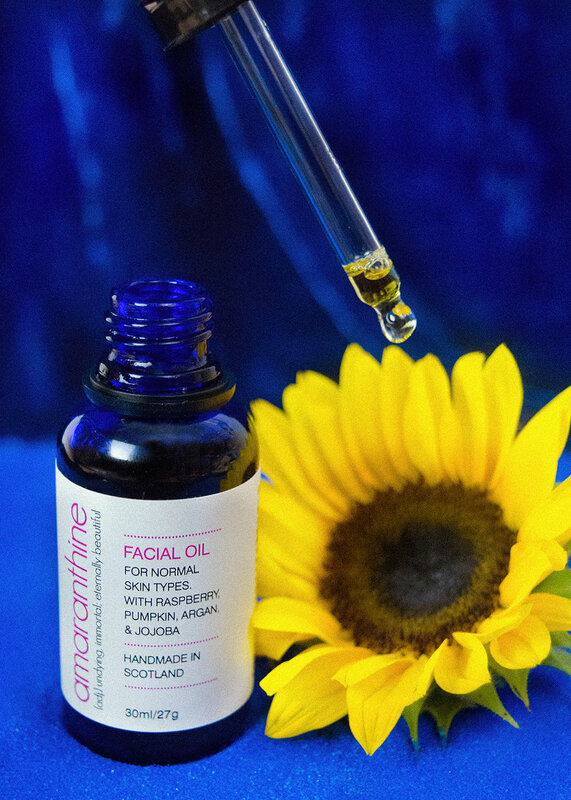 As the founder of Scottish skincare brand Amaranthine, she still uses a cleansing balm and face oil every night â€” but now itâ€™s her own formulation â€” one that is mindfully plant powered and palm oil free. Her process is fairly simple. She explains, â€œOnce I decide what type of product I want to make, I work out what exactly I want it to do and who the product is for. I then research what ingredients I want to use. After that, itâ€™s trial and error until I get the formulation perfect. I try [them] out on myself and my friends (they are always happy to oblige! ).â€� Lather, rinse, repeat. Of course, formulating natural skincare products is not a flawless process. Rueger continues, â€�It can be challenging to get the consistency of a body moisturiser or balm right â€” you donâ€™t want it to be too hard in the winter or too soft in the summer as temperature affects non-emulsified products.â€� But Amaranthine is committed to top quality raw ingredients, so Rueger has stayed the course. â€œOnce Iâ€™m happy with my formulation, I then submit it to a cosmetic toxicologist who will check that it is safe. In Europe, all cosmetics need to pass and receive a cosmetic safety report before they can be sold to the public.â€� And in addition to that traditional regulatory process, Rueger has chosen to pursue the stringent International Palm Oil Free Certification Accreditation Programme (POFCAP). POFCAP created a Certification Trademark to enable consumers to see at a glance if a product, company, or process is palm oil free. Previously, there was no easy way to determine if a product was genuinely palm free â€” now when consumers see the trademark, they know itâ€™s been thoroughly audited and certified by POFCAP using strict international standards. Rueger explains the process: â€œThe application involves informing the certification program about which products you want to get certified and declaring every ingredient that is in each product. The team then thoroughly research all your ingredients and explore all potential palm oil (and derivative) ingredients back to their source. All of Amaranthineâ€™s products passed and were certified palm oil free.â€� Now with her entire product range Certified Palm Oil Free, she can proudly display the International Palm Oil Free Certification Trademark. â€œBeing certified and able to display the logo means that consumers can be absolutely sure that there are no palm oil derivatives in our products,â€� says Rueger. These struggles fall outside of regulatory requirements, meaning Rueger is holding Amaranthine to a higher standard. Sometimes brands start out this way but when they begin to grow, scaling and sustainability become incompatible. When I ask about this possibility, Rueger affirms she is â€œdetermined that the growth of the business will not change the company values.â€� Those values extend even beyond palm oil and packaging to Amaranthineâ€™s other ingredients which are raw, unrefined, and mindfully sourced. One example is their shea butter which is fair trade, organic, and supplied by a cooperative in Ghana that helps local women gain employment and fair wages. But do consumers connect the dots between their skincare and palm oil? And does it matter if they do? One common ingredient has posed a real challenge for Rueger (and for us here at Selva Beat): beeswax. 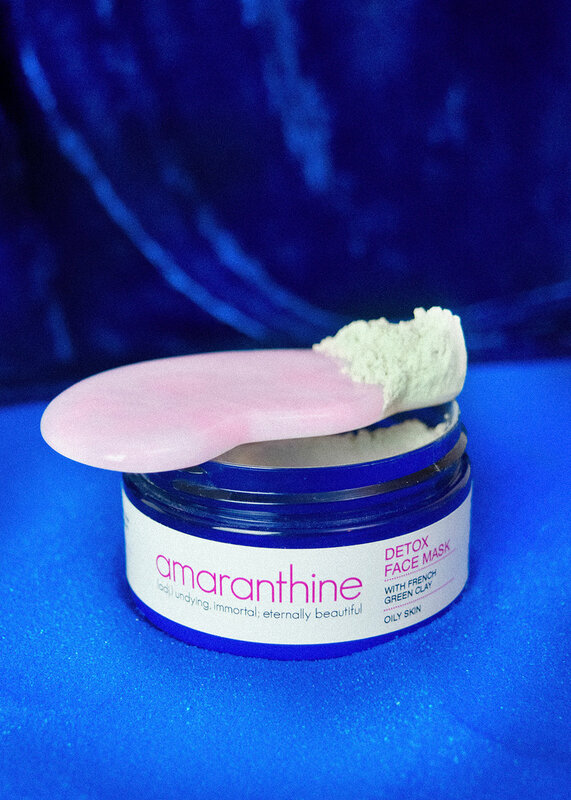 Itâ€™s in both Amaranthineâ€™s cleansing balm and lip balm. Rueger and I discussed the issue frankly: â€œI did grapple with the decision to include this ingredient, knowing that it would make a couple of our products unsuitable for vegans.â€� She explains, â€œIn the end, I decided that I couldnâ€™t please everyone and that being a vegan company wasnâ€™t as important to me as being 100% natural and palm oil free.â€� When I ask about suitable alternatives, she says, â€œAlthough there are some fantastic natural vegan waxes, I have an issue with some vegan formulations that use pseudo-waxes like hydrogenated soybean oil.â€� Every ingredient is chosen by Rueger for its specific properties. Our stance is that we do not use products that contain beeswax, but we leave it to you to decide whether you do. 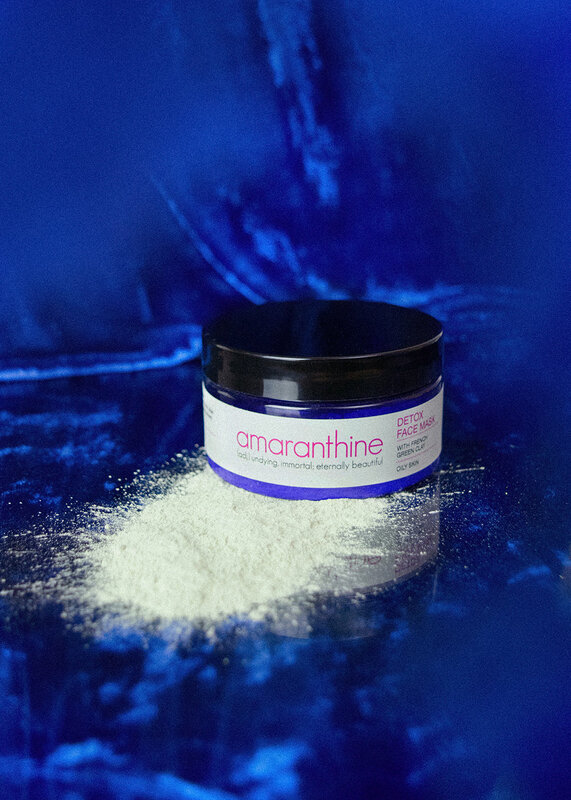 The resulting Amaranthine products are handcrafted and meant to be easily applied to a self-care routine. â€œI believe that a skincare routine should never be a chore,â€� Rueger says. â€œIt should be something to look forward to, more like a ritual. An Amaranthine skincare ritual is â€˜time outâ€™ from your busy schedule to indulge in some me-time, to be mindful and relax for a few minutes.â€� Aromatherapy â€” a passion of Ruegerâ€™s â€” therefore plays an important role in her products. Each formula contains a blend of essential oils chosen not only for their scent but for their skin benefits and positive mental effects. Curious, I ask about her own skincare routine thatâ€™s been evolving since she was 14. â€œMy bedtime ritual is really relaxing,â€� Rueger reveals. â€œI apply my cleansing balm and gently massage it into my skin. I make sure I donâ€™t rush this process â€” I enjoy the feeling of the oils gliding over my skin, and Iâ€™m aware of how the massage is benefiting [me]. I inhale the relaxing aromas of palmarosa and lavender. Once Iâ€™ve removed the cleansing balm, I drop a little of the face oil into my hands and stop to inhale before I gently smooth the oil onto my skin. I particularly love frankincense which is part of the essential oil blend.â€� After all her work to make such a mindfully conscious brand â€” the first skincare company in the world to receive the International Palm Oil Free Certification Trademark, in fact â€” she deserves a little relaxation. 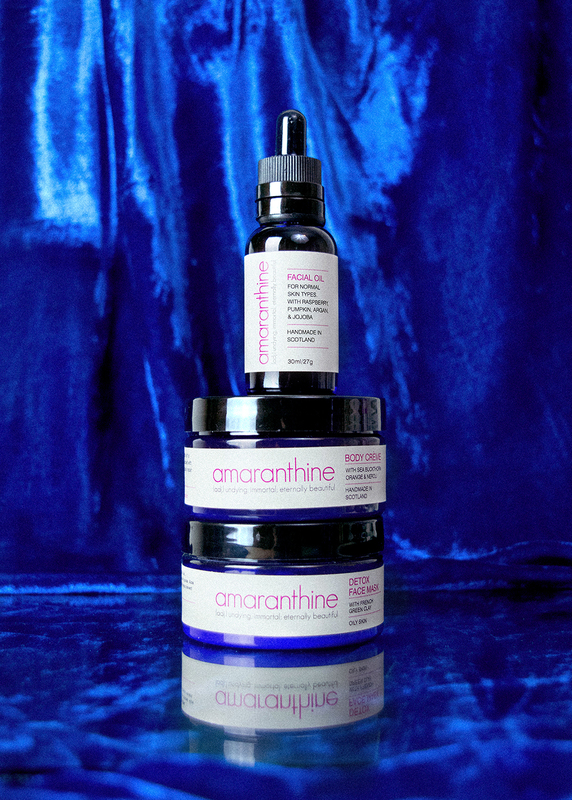 Shop Amaranthine for your own skincare ritual here.